Villanova has won two out of the last three men’s basketball titles (including last year’s), and under Jay Wright they’ve established themselves as a March Madness mainstay. But this year’s team wasn’t quite at that level, finishing the season 25-9, earning a #6 seed, and barely squeaking past #11 seed Saint Mary’s in their opening game. That wasn’t good enough tonight, though, because Purdue came to play. The Big Ten has had a very good tournament so far, and Purdue continued the trend, exploding for 43 first-half points to essentially put it out of reach, and then adding 44 more in the second half to really hammer things home. 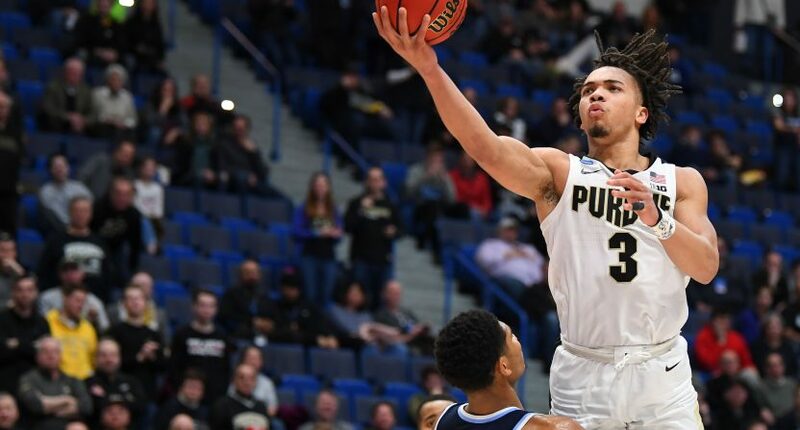 The Boilermakers were led by All-America candidate Carsen Edwards and his 42 points, and they were aided overall by a 16-30 performance from behind the arc. And, really, there’s some poetic justice to a Jay Wright Villanova team being blasted off the court by a hot-shooting performance, as that’s the formula they’ve ridden to such success over the past five years. Purdue, meanwhile moves on to face the winner of tomorrow’s Iowa-Tennessee game in the Sweet 16. What Matt Painter has managed to do with the Purdue program is truly something; this is a team that lost a big part of last year’s Sweet 16 team, and yet they’re back again, for the third season in a row. Painter hasn’t quite managed to take the team to the next step (thanks at least in part to some brutal injury luck), but putting your team in a position to do it over and over again is exactly what a program like Purdue needs to do. And it’s the kind of consistency that other teams (including, say, Indiana) would love to have. Villanova, meanwhile, will go back to the drawing board for next season. It’s fun when a “down” year for a team is a second round loss, but that’s where the Wildcats are. It might not mean much to fans considering the nature of tonight’s loss, but they still have it better than most.